Your home desktop could use a bit of a refresh. Upgrade that flat and outdated monitor with the ViewSonic VX3258-2KC-MHD ultrawide curved screen monitor. With its sleek 32” curved screen, ultra-thin bezel, and WQHD 2560 x 1440p resolution, not only does this monitor deliver an incredibly immersive viewing experience, but it gives your home that curve appeal you’ve always wanted. And with a nimble 144Hz refresh rate, the VX3258-2KC-MHD makes for a great gaming monitor, too. Enter to Win a New VX3258-2KC-MHD Monitor from Marc Saltzman and ViewSonic! Sweepstakes valid from November 1, 2018, to November 30, 2018. No purchase necessary. Limit one entry per person. One Prize per Winner. One winner will be selected from eligible entries, each week. Open only to legal USA & Canadian residents. Sweepstakes is void in Rhode Island, USA, in Quebec, Canada, and where prohibited by law. Please see our contest terms and conditions here: USA and Canada. Thank you for entering the ViewSonic Curve Appeal contest. Keep an eye on your inbox, winners will be notified by email. Sign me up and send me emails! 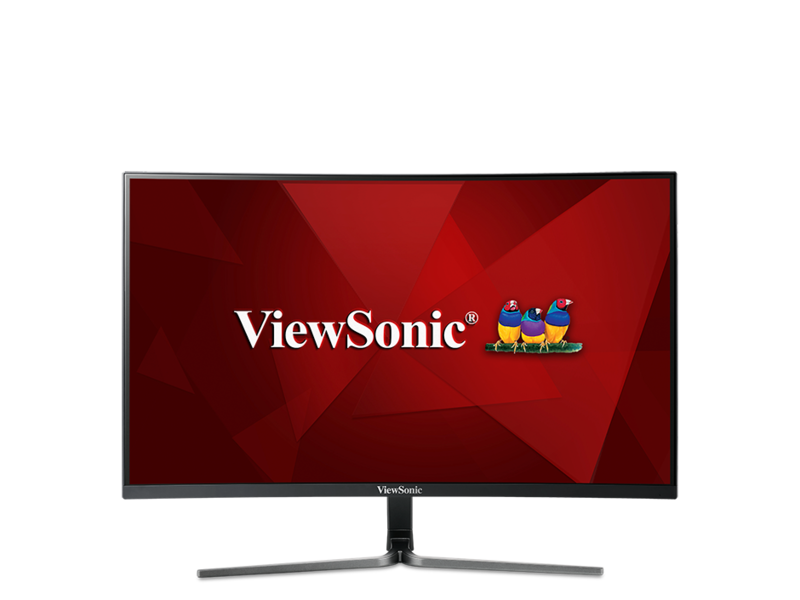 With an immersive curved screen and stunning WQHD 2560 x 1440 resolution, the ViewSonic® VX3258-2KC-MHD monitor provides an incredible viewing experience for work or play. Designed with an 1800R curved screen featuring 85% NTSC wide gamut color coverage, as well as dual stereo speakers, this monitor delivers a perfect balance of comfort, color, and sound for complete viewer engagement. With features including a high 144Hz refresh rate and AMD FreeSync technology, this monitor virtually eliminates screen tearing and stuttering for a fluid gaming experience. The VX3258-2KC-MHD also comes equipped with ViewSonic exclusive ViewMode™ presets, which offer optimized screen performance for different home entertainment applications such as watching movies, editing files, or playing video games. Two DisplayPort inputs, and two HDMI inputs offer flexible connectivity for both general use and entertainment.